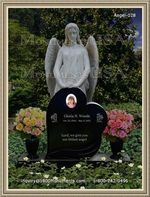 Funerary costs are becoming so high that a large portion of the population is finding it so difficult to pay for such an important occasion. When the need comes up suddenly, the financial strain is even more intense. 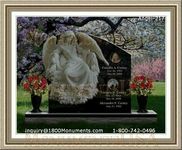 Creating a funeral fund is one way to lower the stress during this time of high emotion. 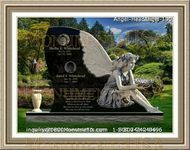 The primary purpose of these accounts is to provide one an opportunity to save the money to pay for their interment while still living and over a span of time. Arrangements of this type made directly with a funerary provider is called a trust. Aside form taking away a lot of the financial stress, there are other advantages to taking this option. One such advantage is being a tremendous relief to survivors. Losing a loved one is stressful enough without having to worry about from where the money to honor their final wishes will be obtained. When putting the funds into place, one should make sure that a reliable trustee is left in charge to ensure the money will be used as intended. The account benefits the individual by allowing them to make their own final arrangement details ahead of time. The appointed funerary establishment will already know particulars such as what flowers to use and how the deceased wishes to be interred. The package should include payment for a large portion of the required needs. Trusts for final arrangements are available in two main styles. The revocable type permits the individual to withdraw funds or to make adjustments at their leisure. Irrevocable accounts will only release the money when it is being used to make payments toward the designated expenses. Many nursing homes now require that an individual have an established burial trust in place before they can be accepted into residency. This is actually a way to ensure the facility has the means to honor the client's interment wishes. Though these accounts can be very useful, making sure the trustee is reputable.